In this issue of Business Reporter, they explore how payment technologies are helping Comic Relief fight poverty across the globe. 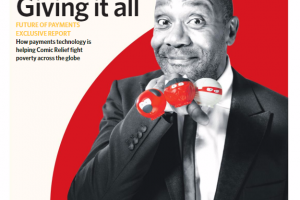 In this issue of Business Reporter’s Future of Payments report distributed in The Telegraph we explore how payment technologies are helping Comic Relief fight poverty across the globe. We examine the emergence of digital wallets and look at advances across the payments landscape from blockchain to car based payment systems.